and you stay ACTIVE FOREVER! Become an Affiliate for only 50 EUR and market our products and services as a part of SINC to get insane bonuses and rewards! and share in Global Transaction Fees! What can you do as a part of our Community? Develop your position in our community to finally profit from the Third Industrial Revolution – 3D PRINTING! 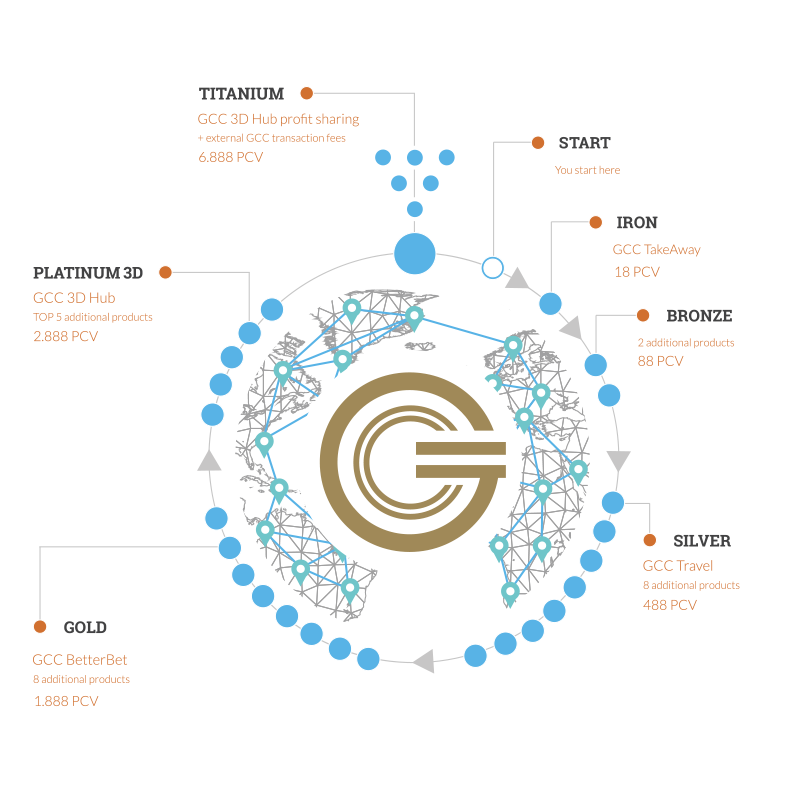 Our 3D Print Points will give you access to the most innovative and prospective business sector benefits and together with other Ecosystem24 portals will support & protect TheGCCcoin value now and in the future! Collect and use TheGCCcoin – with all its features, this cryptocurrency is a must-have to anyone with a business attitude! And it’s a must-have to anyone who really cares about our planet! improve your SINC position to get a share in transaction fees from Ecosystem24 portals and other businesses worldwide! The person who recommended you our products get 3% Up-Line Assistance Bonus and the person who recommended him our offer will get additional 2% Up-line Assistance Bonus, as a way of saying… ‘Thank you for your help’! calculate your Binary Bonus – you can get up to 100.000 EUR weekly! calculate your Matching Bonus – you can get up to 25.000 EUR weekly! QUALIFICATION: By collecting just 200 PCV in each leg of your personal sale structure, you qualify for Binary Bonus. It is a commission generated from a turnover on product sales created in your downlines and it’s based on the BV points (PCV + BCV together) generated in your lower and upper leg. QUALIFICATION: 200 PCV collected in each leg qualify you for 1st level Matching Bonus! It’s the same condition that opens your Binary Bonus and you need to meet it only once! It is a commission calculated on a Binary Bonus generated by customers you personally acquired, (Level 1), customers they personally acquired (Level 2), customers who they personally acquired (Level 3) and so on up to 7th level! The calculation is made at the same time as for Binary Bonus and same rules apply to the collected points. Your Binary Volume (both PCV and BCV points) is being converted each week to the Binary Bonus. After that, you start a new week with updated balance of points (BV points converted to bonus are simply deducted from both of your legs after the calculation, so they are not counted twice). How to determine who’s really a champion in both personal sales and team building skills? Don’t worry – all your Binary Volume points generated in your lesser leg are saved to record your growth and reward you for your development! 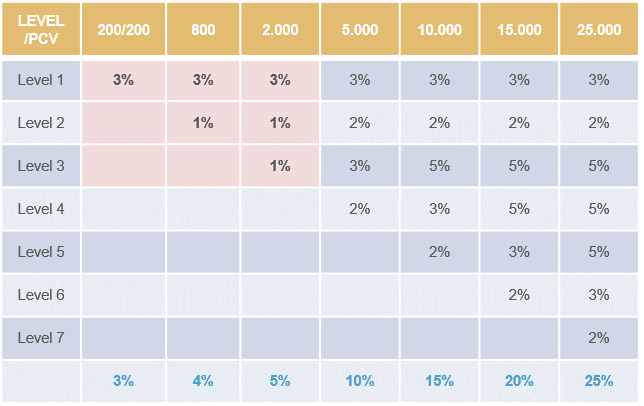 The chart shows Sales Ranks you can achieve in our community and special incentive bonuses prepared to reward you for your amazing efforts! We know, that getting to the highest sales ranks requires hard work. But we also know that Leaders don’t get there on their own. Other active affiliates help their Leader. And we’re a community which supports each other to reach our goals. Here comes a Community Bonus – a way to thank you for a joint effort to help the others grow – even if they grow more than you do! When a Leader reaches one of our Sales Ranks, the three levels of his/her binary active SINC Team receive an equal share of Community Bonus! START – you start here when joined as an Affiliate. You don’t have an access to transaction fee sharing yet, but you can get to the next SINC positions simply by collecting PCV points! IRON – you get to this position by collecting only 18 PCV. You’re entitled to transaction fees from 1 Ecosystem24 portal – TakeAway – global food ordering site. BRONZE – collect 88 PCV and get access to transaction fees from 2 additional Ecosystem24 portals = 3 in total! SILVER – having at least 488 PCV, you will be sharing transaction fees from 8 additional Ecosystem24 portals = 11 in total, including GCC Travel – best offers to travel worldwide! GOLD – get 1.888 PCV (including at least one Explore Pack sold) to get a share in transaction fees from 8 additional Ecosystem24 portals = 19 in total, including Better Bet – online gaming and sports betting portal. PLATINUM 3D – make 2.888 PCV (including at least one Pro Pack sold), establish at least one active and verified 3D point to get a share in transaction fees of all 24 portals, including TOP 5 of them with GCC 3D Printing Hub! Get your share in the Third Industrial Revolution! TITANIUM – collect at least 6.888 PCV (including at least one Master Pack sold). You will be sharing not only Ecosystem24 transaction fees but also those generated by unlimited external businesses worldwide + our 3D Printing Hub PROFITS! Binary Volume points generated by each Ecosystem24 portal are equally shared to all SINC positions connected to particular portal groups. System lets those BV points multiply by running up the legs, then calculate and place final amount for each position. During the next pay cycle, BV points are converted to binary and matching bonus according to standard rules. EXAMPLE: BCV generated by TakeAway is equally shared with Iron and higher positions in the community. 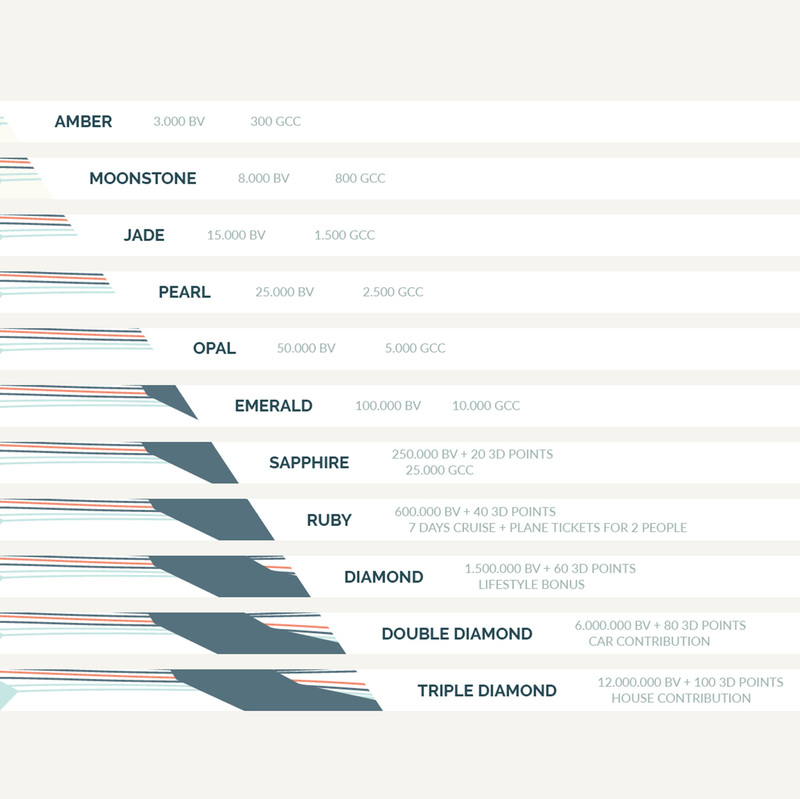 3D Hub fees will go to Platinum 3D and Titanium positions only. Next, the system lets them run up the legs in the background and finally replaces BCV at each position with the correct amount (same rules apply: Iron sends BCV to any position up the leg, Platinum 3D to Platinum 3D and Titanium positions only). Your final share depends on your SINC position, your structure size & quality and transaction fee amount generated by a particular group of portals.